Last night, ManTech Executive Vice President and Chief Financial Officer (CFO) Judy Bjornaas was honored by the Northern Virginia Technology Council as one of their NVTC Tech 100. Each year, the NVTC Tech 100 aims to highlight the companies and individuals who are leading innovative technological change. As ManTech’s CFO, Judy’s responsibilities run the gamut from investor relations, financial analysis, planning and reporting, to government compliance, auditor relations, procurement and guiding the company’s overall technical investment posture. 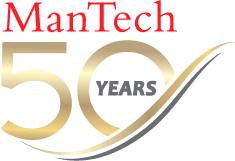 Since joining ManTech in December 2010 as the deputy CFO and SVP of financial planning Judy has been instrumental in 14 acquisitions that have vastly expanded ManTech’s customer base and capabilities offerings. Over the past eight years, Judy has helped lead ManTech’s growth to its current position as a $1.9 billion government services company with more than 7,800 employees worldwide. When not contributing to ManTech, Judy Bjornaas is actively engaged in the local business community. She serves on the Board of Directors for the Northern Virginia Chamber of Commerce, and is a member of the Association for Corporate Growth. We are proud of her service and pleased that her leadership has been recognized by the Northern Virginia Technology Council.